I have been busy making Father’s Day printables to share on the blog with all of you! 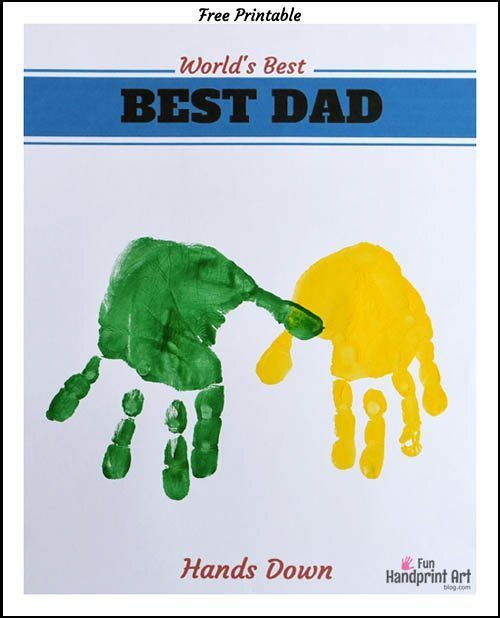 Up 1st is the World’s Best Dad Hands Down that you may print for free by scrolling down towards the end of the post. 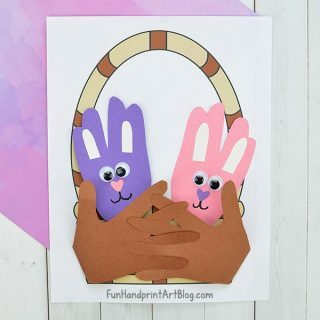 We also have a 5 Reasons Why I love you printable that you can see/print in this Father’s Day handprint craft we made last year. I made a green handprint with my son and a yellow one with my daughter. We placed it with the fingers pointed down, but making it the normal way looks great too. You could use this with 3 or four kids too depending on the size of all their hands. 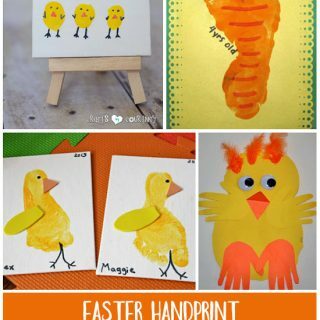 If using with one child, then paint both the hands. The handprints would look good in all the same colors as well as in different colors.